The eldest of 12 siblings, and the father of two kids of his own, 25 year old Taquon credits love of family as motivation for turning his life around. Taquon missed the birth of his first child because he was in prison for a string of car breaks-in. He served his time and now works hard to support his family and pay restitution to his victims. Taquon attended the birth of his second child, three months ago, and is a very hands-on parent with his partner, Brittany. Taquon does not want to go back to a life of crime. He says he started getting into trouble after leaving Asheville High School in 11th grade, explaining, “I was bored in school and what was going on with my friends on the streets seemed easier. I wasn’t thinking long term. 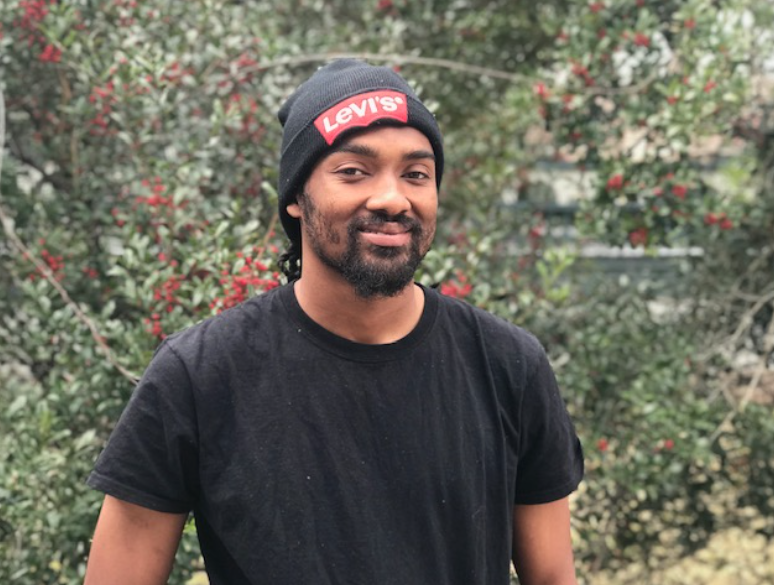 I switched from being the person my Mom was raising, eventually I was not that Taquon any more.” He went on to be convicted of dozens of break-ins and was in and out of jail for the better part of two years. Missing the birth of his first daughter, and seeing “the same guys going in and out and in and out of prison, I knew I wanted something better,” he says. Taquon began working with SPARC case manger, Justin Blackburn in 2018. They have worked on life and job skills, which are no doubt valuable, but from listening to Taquon, it’s clear it’s often the little intangibles that seem to have the biggest impact. Taquon now works a full time job with a sanitation company and has set a goal of getting his CDL license next year so he can drive one of the trucks and be eligible for a raise and benefits. This is Taquon’s second job in recent months, however. A different company fired him after conducting a full background check, despite Taquon’s superior reviews during his 90-day probation period.